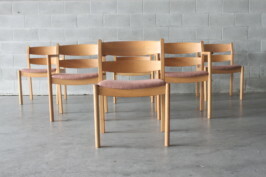 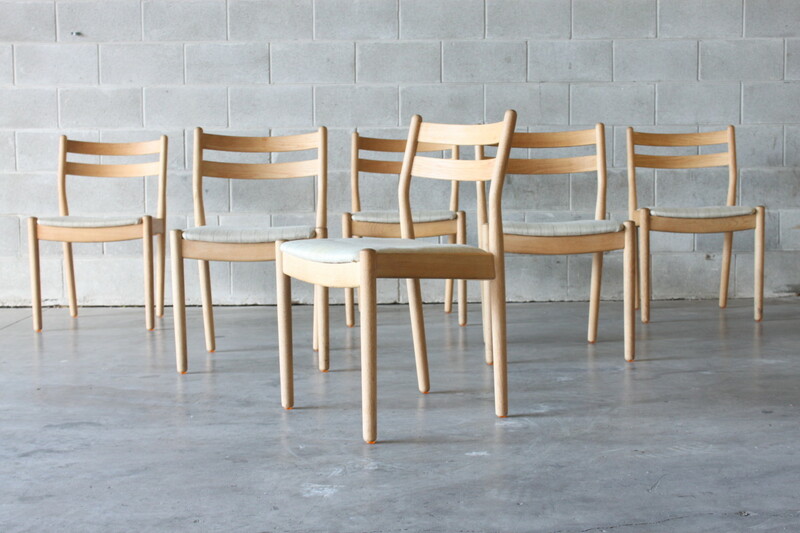 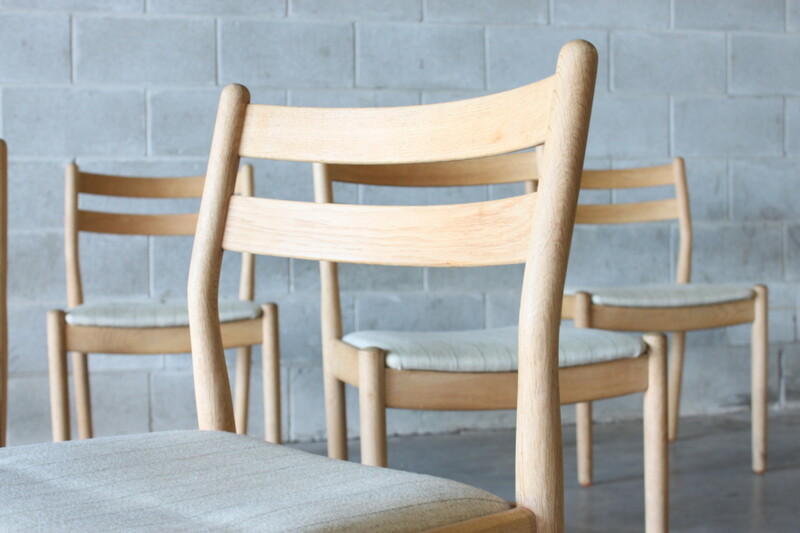 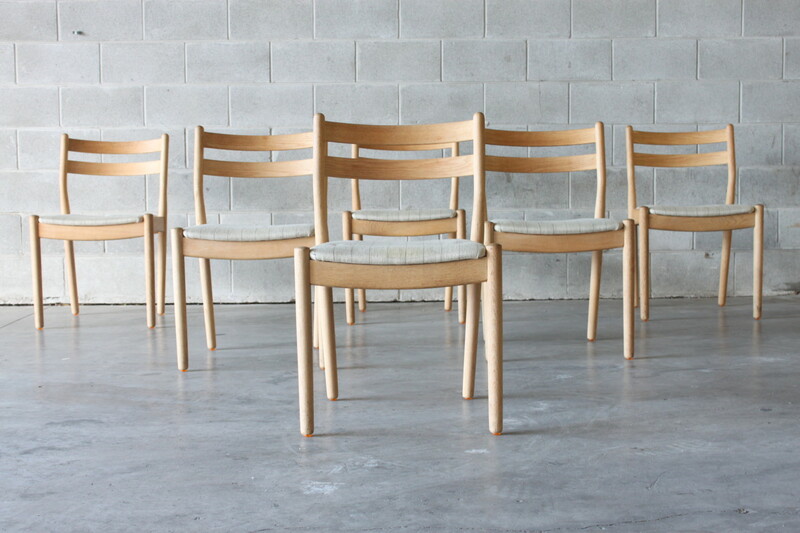 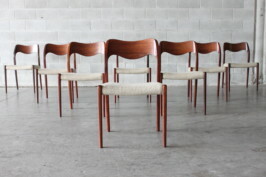 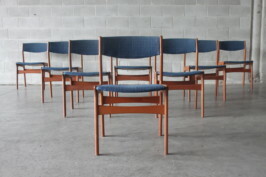 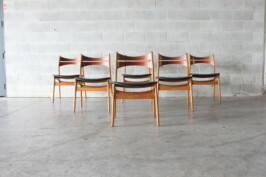 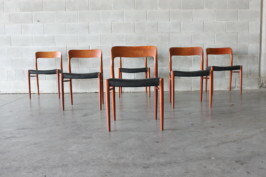 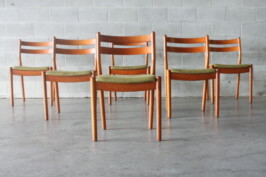 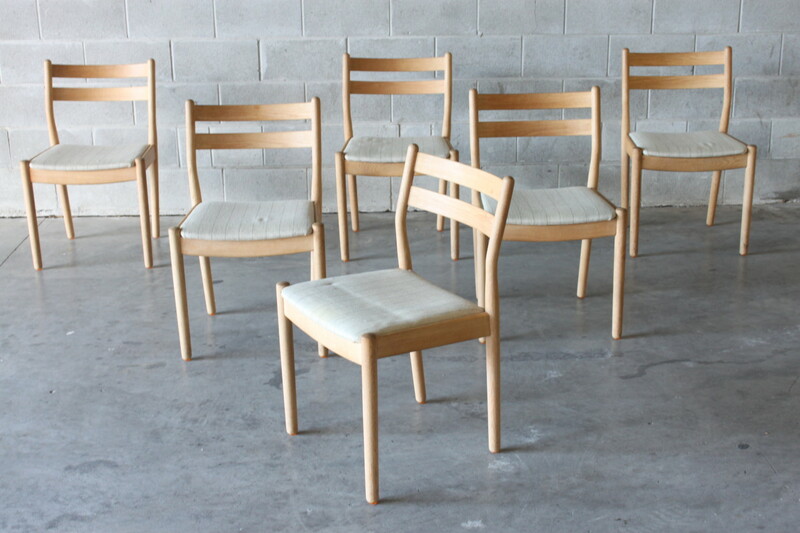 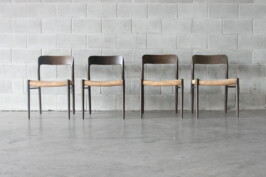 A nice quality set of six oak dining chairs by Poul Volther these are model J61 and have gentle curved back rests which are comfortable and the seats are nice and wide. 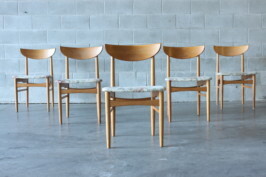 They have the original fabric covers which can be changed very easily . 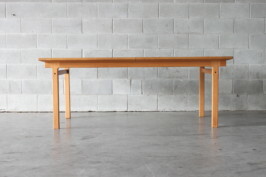 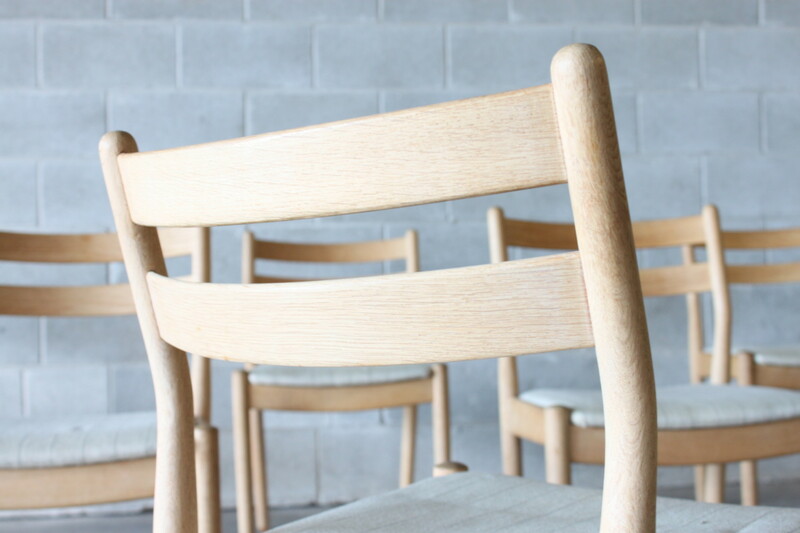 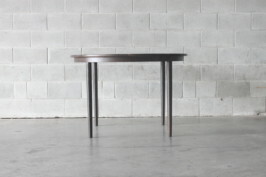 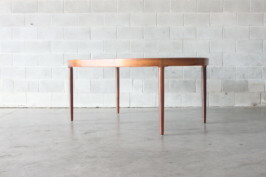 Team this up with our oak Borge Mogensen shaker table or our large Niels Moller solid oak table.